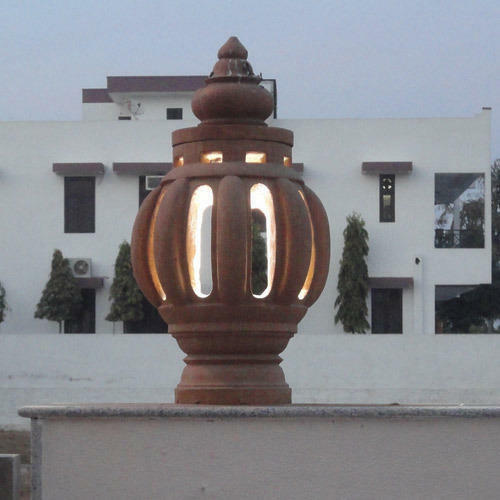 "Adding A Glow of Warmth In The Exteriors"
We are engaged in manufacturing an enticing range of Stone Lamp Posts that is intricately designed by our team of creative artisans. These are available in varied color stones such as red, beige, pink, brown, mint, white and grey to suit any décor. Our complete range is mainly used for enlightening the pavements. Further, we can also customize these in different specifications as per the requirements of our clients. We are looking for bulk enquiries as well. In the vibrant hues of the Yellow Mint, this range of Gardens Sand Stone Lamp Post work wonders to brighten up and enhance any setting. This lamp post has the capacity to strike anybody’s attention at first sight due to its elegant & classy design. It is a perfect combination of modern art yet with a classical touch strikes immediate attention of art lovers & home décor designers. We offered this this kind of ultimate Yellow Teak Gate Lamp examples to decor your outdoor & indoor space with contemporary designs & color. 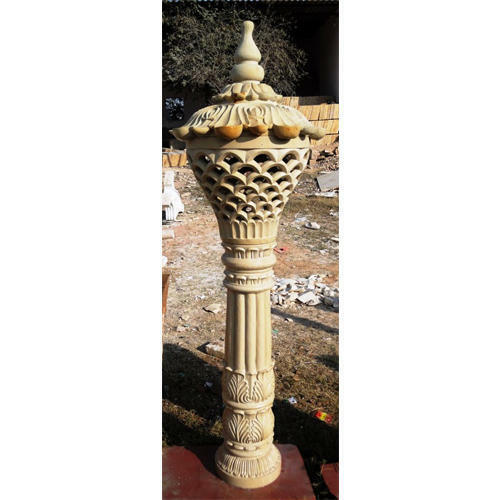 We are providing such kind ofStreet Stone Lamp Post in Carved Smooth Finish with mesmerized design, traditional workmanship and apealing natural stone color. Packaging Details: Well Packed By Sea Worthy Wooden Crate & Foam,bubble Sheet etc. 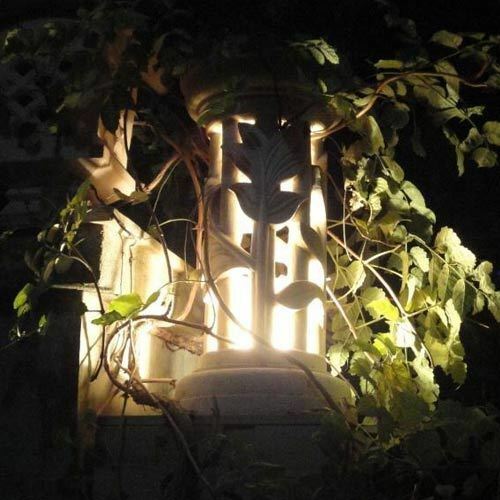 These tastefully carved Outdoor Light Posts/ Gate Light in intricate designs and patterns are offered to our valued artsy customers at very pocket friendly prices. These have been particularly designed for a long lasting impression and add to the grace of any decor. A product of exquisite natural stones, these can be personalized to suit the owner. 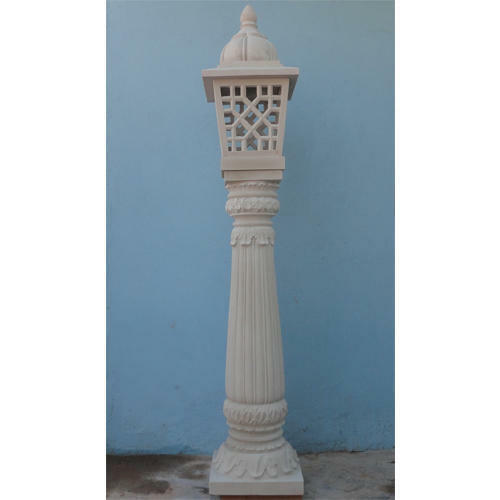 Offered to our valued customers, are these elegant Outdoor Lamp Posts or garden posts. 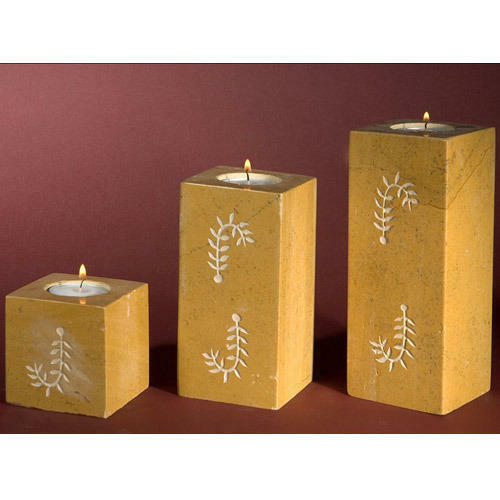 Made from luxuriously fine sandstone ,they are synonymous to durability with exemplary fine finish. They can be personalized to suit the aura our customer and grace their unique garden settings. We offer our customers a treat of Decorative Lamp from color palette that is made to impress. Additionally the color combinations we are using in these lamp posts are exclusively combined in enticing combinations and patterns. We focus and design all our products keeping the requirements, tastes & preferences of our customers in our artworks. Stone Lamp we offer in yellow mint is designed to spray that soft freshness to your bedsides, redefining your space and interiors. Its design is enchanting & striking and will accompany you in your sweet dreams if added to accessorize your bedsides. Its accentuated looks will a center of attraction for everyone and its spirally designed shape will give a dim light effect. 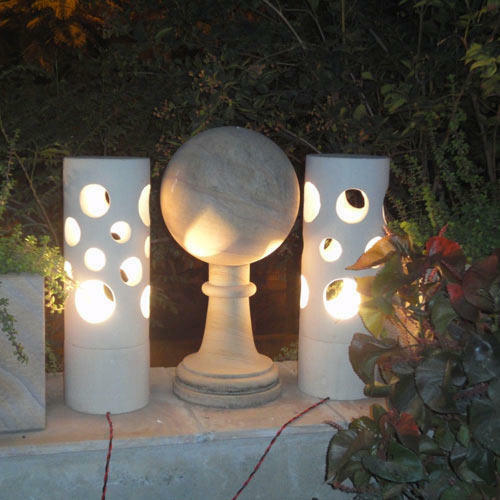 Garden Lamp is a beautifully lit stone lamp is a melody in stone that one can enjoy timelessly. 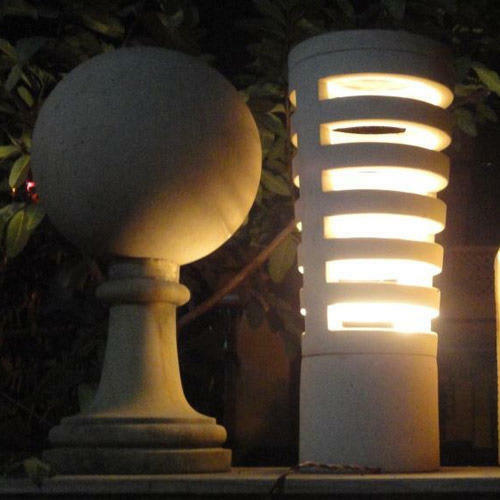 Unbreakable, strong and well designed the product is ideal to light up your cozy garden or that vast stretch of green that fronts your home. 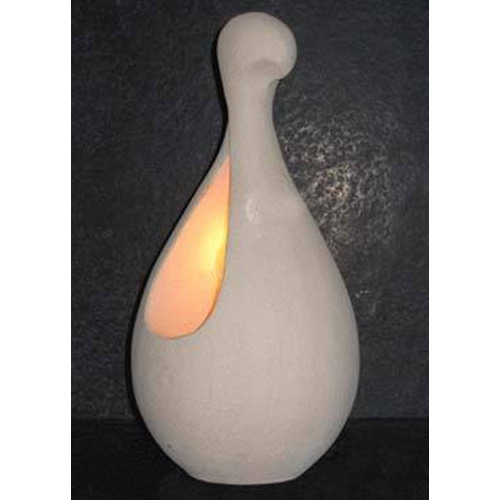 We are offering Dew Drop Night Lamps to our clients. An ephemeral dew drop with its sheer beauty beguiles and disappears. This stone dew drop lamp is however there for life. Capturing the beauty of fragility in stone , the lamp when lit up shines as if a dew drop reflecting the rays of the sun. 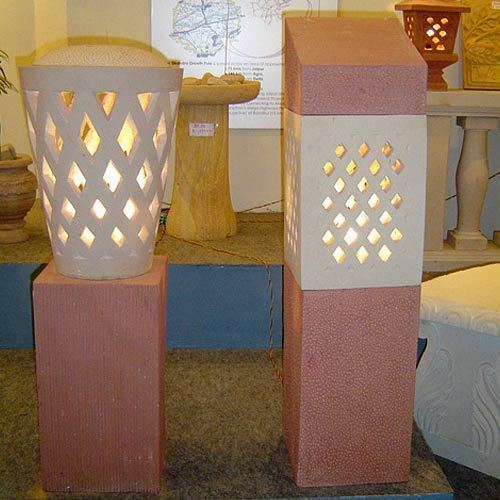 We are offering Candle Light Yellow Stone to our clients. Candle lamps are available in customized designs & colors. 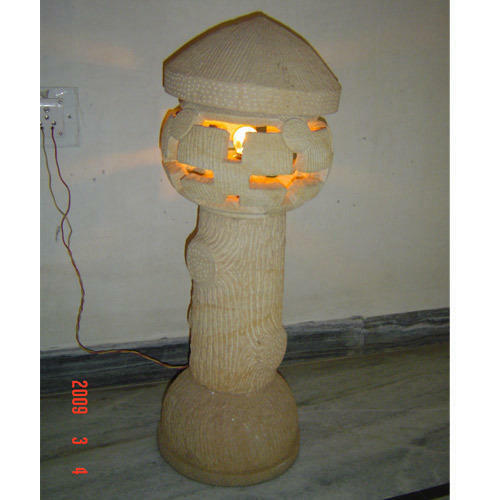 We also offer an exquisite collection of Antique Carved Lamp which is available in varied designs. 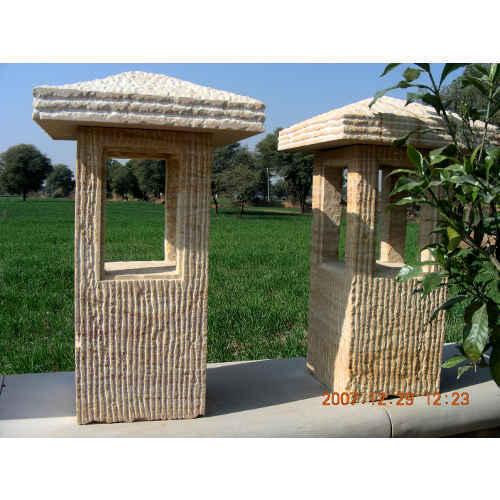 Our range of sandstone items is made using superior quality standards. These are available in exceptional traditional / modern design, colours, sizes and finishes. 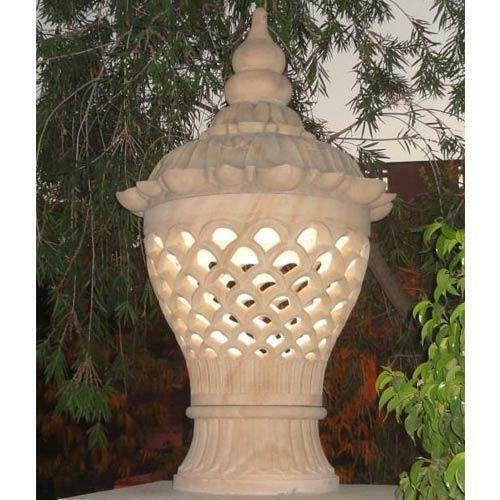 Handcrafted with minutest detail we offer a mesmerizing range of hand carved Garden Corner Stone Lamp. Prayers in stone these fulfill a spiritual objective as well as that of aesthetics. 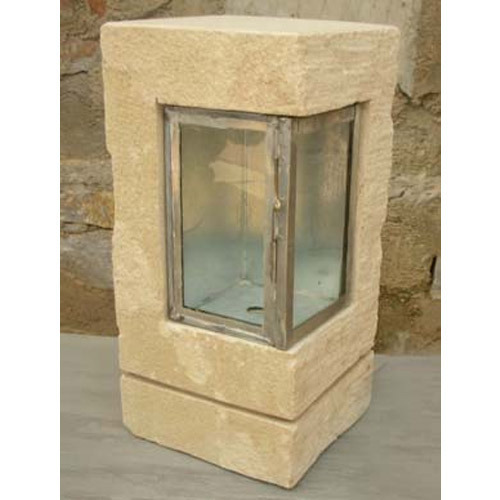 This contemporary garden corner stone lamp will enhence a real richness of your garden. We also offer an exquisite collection of Decorative Garden Lamp which is available in varied designs. 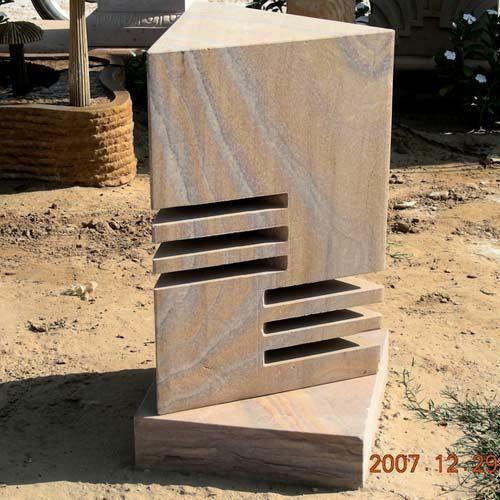 Our range of sandstone items is made using superior quality standards. These are available in exceptional design, colours, sizes and finishes. In luxurious mint yellow stone, this Spar Stone Lamps we offer is just that demure detail to add to the grace of your elegant space. This table lamp is an illustration of modern art with elegance and a classy touch. Its design is suitable for all kinds of interiors and can add finesse to your drawing rooms, living rooms or can be used for office furnishings as well. Looking for “Stone Lamp Posts”?